NOTE: Member plus guest will cost a total of $129. TO ADD YOUR GUEST: click on the "ADD GUEST" button at the bottom of the data collection form and enter the guest information, as indicated. Thank you. Registration Fee includes Badger Bus travel w/Wi-Fi. Personal expenses and lunch is on your own. First stop of the day: The Art Institute. Featuring works by Edward Hopper, Georgia O’Keeffe, and Grant Wood, this exhibition examines how artists redefined modernism while searching for a national art during the Great Depression. Exploring the little known collaboration of Parks and Ellison, this exhibition reunites the never before seen photographs and unpublished manuscripts intended for two projects. Check out the great gift shop and the Institute's new wing. There are three indoor restaurants to choose from for lunch. And just across the street: Millennium Park. You'll want to check it out. Take a "selfie" while looking at "The Bean". Second stop: The Museum Campus. There are so many things to do at Navy Pier! From cultural programming, seasonal celebrations, special events, festivals, fireworks and entertainment to public shows in the exhibition hall space, there is always something happening here. 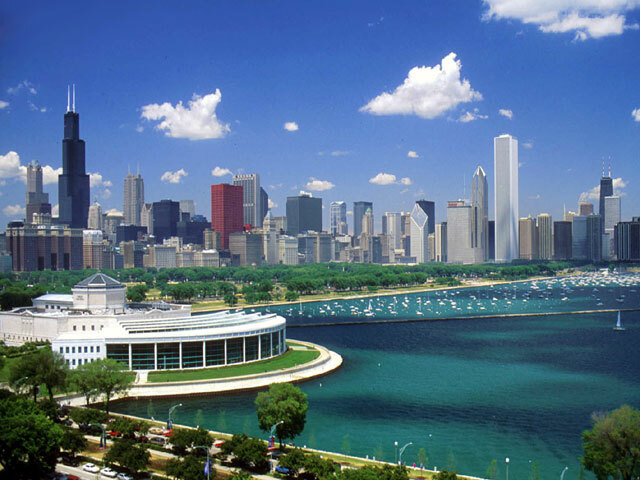 Located just east of downtown on Lake Michigan, Navy Pier offers scores of entertainment and dining options, making it one of Chicago's top tourist attractions. Free admission to The Pier, but separate charges for each attraction, ie. Ferris Wheel, Funhouse Maze, Imax Theater, Chicago Shakespeare Theater, Sight-seeing cruises, and more. The Downtown Tour: For 20 years our Hop On Hop Off sightseeing tour has been the gold standard for entertaining and informative tours. Covering 13 miles and 12 stops, the DOWNTOWN TOUR is a 2-hour eye-popping adventure through the heart of Chicago, giving you the option of Hopping On and Off at your choice of stops to visit the hottest retail, cultural, and family attractions. Online Price $33.00. For map of stops, click here. For further information, contact Chicago a la Carte field trip organizer, Bob Blitzke, bblitzke@gmail.com and 608-271-7741.